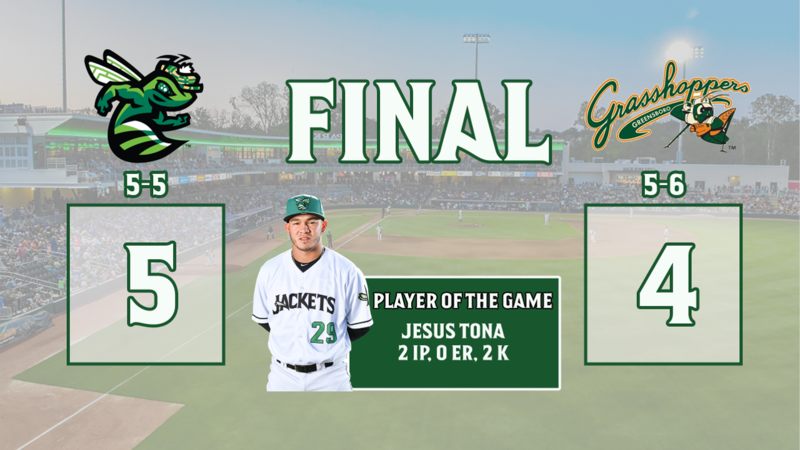 North Augusta, SC: Shane Matheny electrified the home crowd with a two run home run in the first inning and Jesus Tona picked up the final six outs of the game as the GreenJackets rolled to a home opening night, 5-4 win. Tona came into the game in the 8th inning with two men on base an nobody out. He worked out of the jam and did not allow a run. Tona then came back in the 9th and got the final three outs. The right hander has not allowed a run in his first five innings on the mound this year.